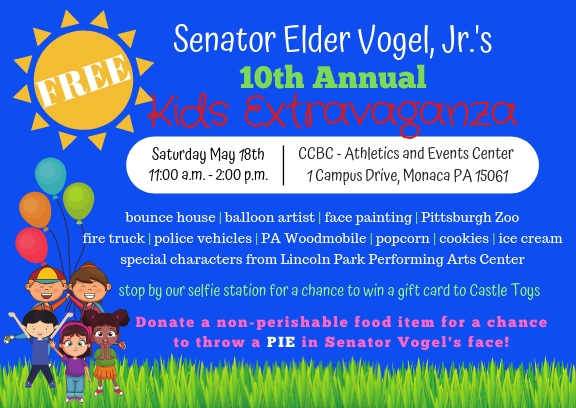 032919 - Senator Elder Vogel, Jr. This Session I have re-introduced legislation to create a Pennsylvania Election Law Advisory Board to consider possible statutory changes and other issues, such as emerging election technology. The establishment of this board should be the first step in mapping out the priorities of needed election reform measures. The Board would then propose a timeline to enact the proposed changes. The ultimate goal is to improve the PA Election Code through prioritized options with as little cost to our counties as possible. Also the board would collaborate with agencies and political subdivisions to study election-related issues, identify best practices to ensure voting integrity and publicly release an annual report. The idea for an advisory board stems from a December 2017 report by the Joint State Government Commission on voting technology in the state, a report done at the direction of a Senate resolution on which I was the prime sponsor. Last year, Gov. Tom Wolf’s administration directed counties to offer voters verifiable paper records of ballots by the end of 2019 after questions were raised about voting security following the 2016 election. With the “graying” of Pennsylvania’s farm families, I am preparing to introduce legislation that will encourage existing farmers and landowners to work with beginning farmers to help them get started. This legislation provides a personal income tax credit for landowners who lease or sell their land, buildings, and equipment to beginning farmers. The number one concern faced by new farmers is finding affordable farmland. My bill provides a tangible incentive for landowners to help new farmers. Those statistics highlight the challenges that new farmers face when looking to start a farm of their own. None of our neighboring states offer a similar tax credit program, this legislation is a way to show the agriculture community that Pennsylvania is open for business. My bill, which is modeled after a successful program in Minnesota, would help change the trend. In the first year of its program, Minnesota offered $2.3 million in tax credits to nearly 450 landowners. To watch my presentation of this new important initiative, please click here for a video on my website. 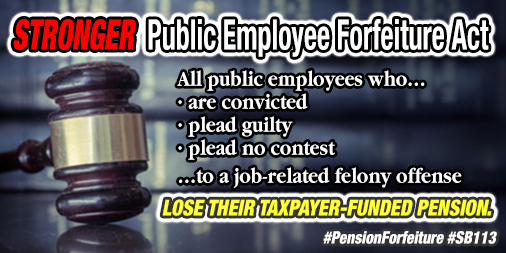 A measure that would strip taxpayer-funded pensions from public employees who commit job-related felonies received final approval in the Senate. Senate Bill 113, now Act 1 of 2019 was approved by the Senate on February 4, and signed by the Governor on March 28th. The measure closes the “Mellow Loophole,” named after former State Senator Bob Mellow of Lackawanna County, who in 2017 had his $245,000-a-year pension restored despite pleading guilty and being sent to prison on federal conspiracy charges. Act 1would require pension forfeiture if a public employee or public official is convicted, pleads guilty, or pleads no contest to any felony offense related to his or her employment. You can donate these items at my district office located at 488 Adams Street, Rochester 15074 (Beaver County) and 1905 West State Street, New Castle 16101 (Lawrence County). Please ensure that all products are not expired before donation. The law would bring Pennsylvania in line with 19 other states that give immunity to bystanders who help children locked in hot vehicles. Senate Bill 49 is now in the House of Representatives where it awaits consideration. 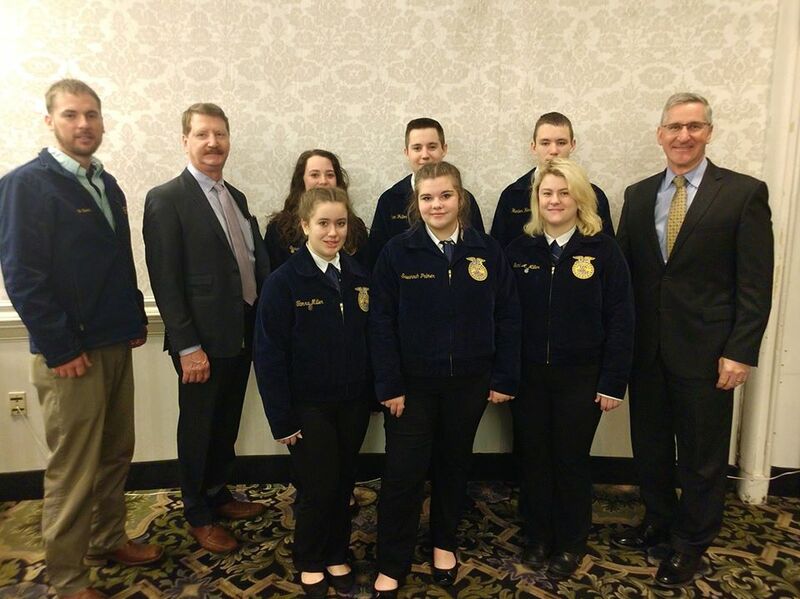 Another great week in Harrisburg – here we are with future leaders from Laurel FFA & Ag. Secretary Russell Redding! Nice seeing you all! Diabetes is a metabolic disorder in which blood glucose levels are above normal for an extended period of time, risking long-term complications for blood vessels, eyes, kidneys and nerves. Nearly 1 in 4 adults living with diabetes are unaware they have the disease. Could you have diabetes and not know it? On #DiabetesAlertDay, take the quiz to find out if you’re at risk, and locate the nearest diabetes prevention program by clicking here. Authorized by the General Assembly through Act 107 of 2018, the PA Business One-Stop Shop helps owners of new and existing businesses plan, register, operate and grow a business while working smart and living happy. This assistance can help in finding the right location and business experts near you, along with tax information, business grants, etc. To begin the process and look into PA Business One-Stop Shop, please click here. A new PA Game Commission video feed is up and running of a Monroe County black bear den, allowing you to take a peek into the lives of a mamma bear and cub. They’re currently under a residential deck – not unusual denning for the region – but will eventually move on. Black bears are the only species of bear found in the eastern U.S.
For any nature enthusiast this video feed is a great way to view the bears in their natural habitat. To access the feed, please click here.